Reporting to the Vice President for Development, the Director of Special Events will be responsible for developing a strategy to raise AJWS’s public profile and engage AJWS’s community of donors. 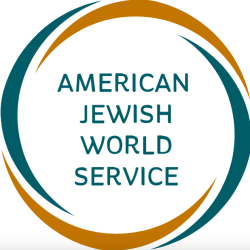 The Director will lead staff to execute polished, substantive, and successful gatherings, including annual galas, parlor events, speakers’ series, and policy-oriented symposia designed to elevate AJWS’s work nationwide. The Director will also have oversight responsibility for AJWS’s international study tour program. The Director of Special Events must be creative and detail-oriented, capable of planning ahead proactively and responding quickly to developments on short notice. The Director must be able to work harmoniously with colleagues from a wide array of departments – Program, Communications, Finance, Major Gifts, and Development Operations. The Director will supervise a staff of three people, and will collaborate closely with other directors in Development. The Director should understand the non-profit development world and should have familiarity with and passion for international human rights, economic development, and/or Jewish social justice work. Prepare and maintain budgets for all special events. Familiarity with the Jewish philanthropic community and other philanthropy.